Clarivate Analytics has accepted SOIL into the Science Citation Index Expanded (SCIE); the Journal Citation Reports (JCR); and Current Contents/Agriculture, Biology & Environmental Sciences. Lily Pereg, Executive Editor of the SOIL journal as well as Deputy President and Programme Group Chair of the EGU Soil System Sciences (SSS) Division, died tragically and unexpectedly earlier this month during a trip to Argentina. Copernicus Publications recently launched its full-text HTML workflow and optimized the SOIL website for mobile devices. Thereby, the user experience is significantly enhanced when reading SOIL articles. We are pleased to announce that Scopus has completed its evaluation of SOIL and announced that it will include the journal in its database. SOIL readers and EGU members will be sad to learn that Dr Barry Rawlins died on Friday 29th September two years after being diagnosed with cancer. Eric Brevik leaves the editorial board of SOIL as of today. Please read his farewell address. EGU and Copernicus Publications carefully investigated the editorial and reviewing activities of all eight scientists accused in the anonymous "McDonald" report about an alleged "citation cartel". The report is available for download. SOIL has been accepted into the Directory of Open Access Journals (DOAJ) and has received the DOAJ Seal which recognizes journals with an exceptionally high level of publishing standards and best practice. We have summarized the upcoming changes to SOIL by the end of the year. In cooperation with the TIB|AV-Portal SOIL authors can now add short, citable video abstracts and video supplements to their articles. From January 2016 onwards, SOIL will see changes to the way papers are archived and paid for. SOIL has become a member of the Committee on Publication Ethics (COPE) and thereby subscribes to the principles of COPE. 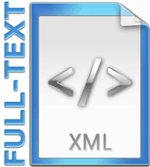 SOILhas started an XML-first workflow and will provide all new articles in full-text XML from now on. SOIL, the newest interactive and open access journal of the EGU, is dedicated to the publication and discussion of high-quality research in the field of soil system sciences.